I love trying my hand at new types of crafts. That is one reason I test products over at Craft Test Dummies. I am over there today testing a paper husking kit. I thought I would share with y’all one of the projects I came up with using the kit. 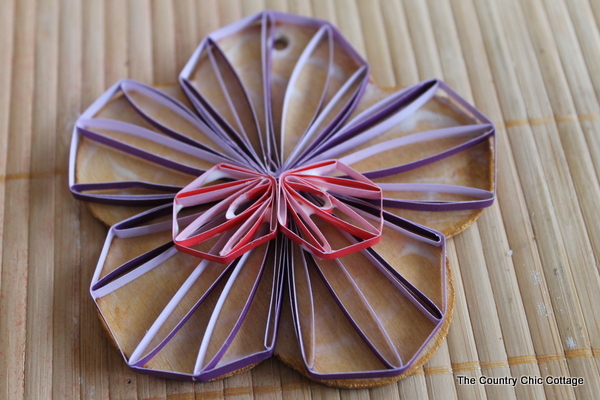 I had never worked with quilling paper before at all. I was a novice…so any experts please be gentle. 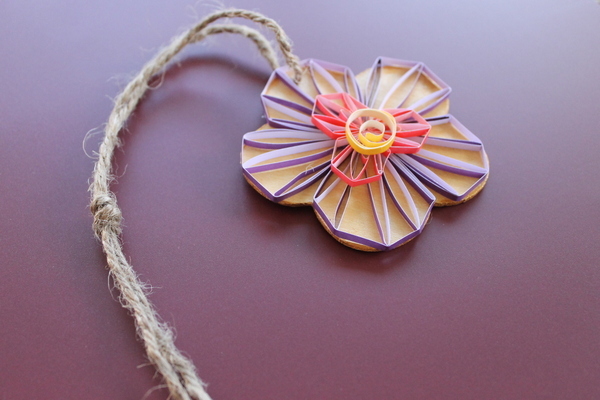 I will give y’all credit….this is a time consuming craft! 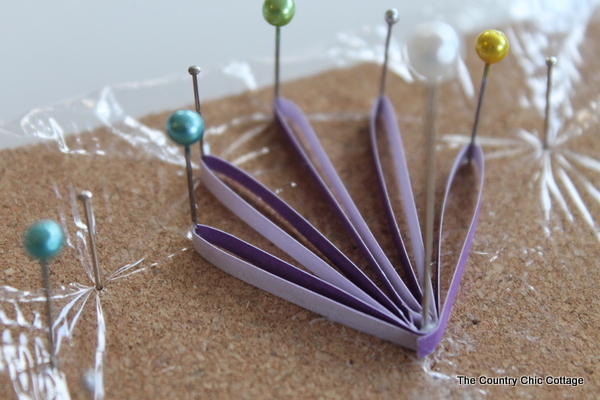 But some of the creations I have seen with quilled paper make me want to continue and get even better! 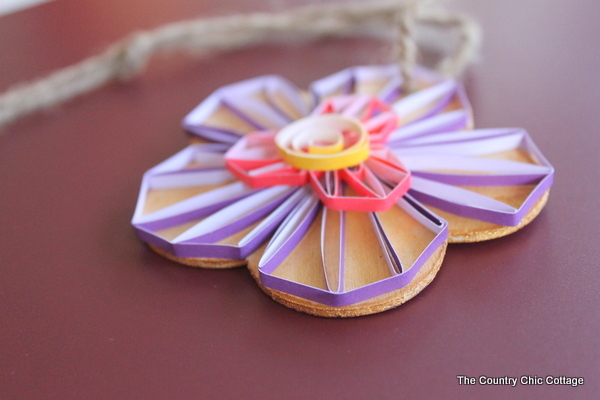 Okay onto my tutorial for a quilled paper ornament. I used this kit to create my ornament. Once again, you can head over to Craft Test Dummies to see the kit in action plus even more projects I created with it. 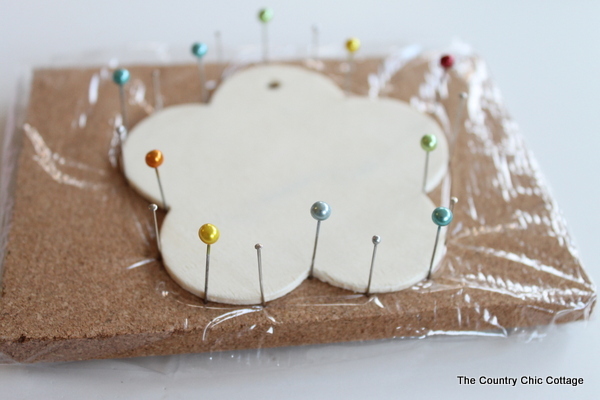 Now let’s make an ornament!I decided to do some custom husking by using the tips in the kit. 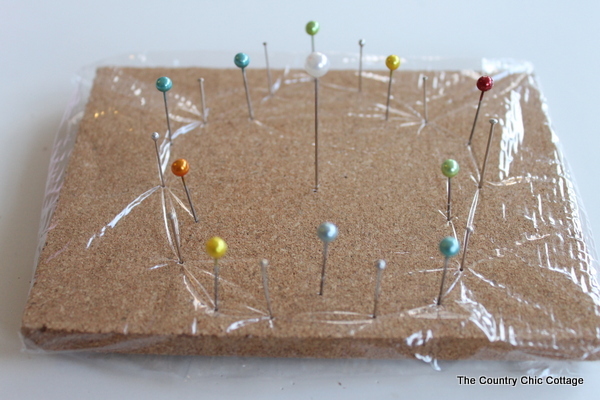 I laid out my flower on the included cork board and put pins all around the edge. I then removed the flower and put a pin in the center. I did my first flower petal. 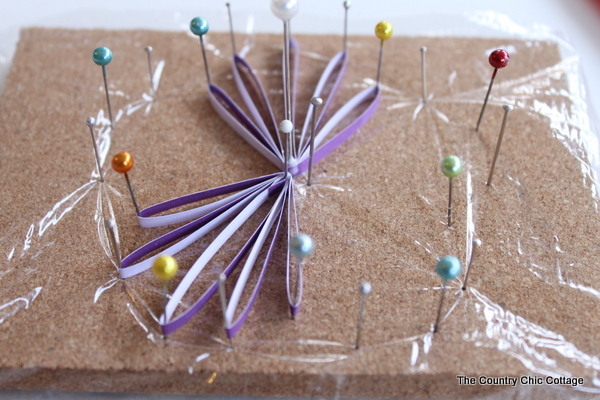 I then added another pin in the center and did another petal. I continued in this manner until the entire flower shape had been filled. The flower was painted a yellow gold and I laid down the custom husking on top with some glue to adhere. I then made a few pieces with the templates in the kit and laid those on top. Finally I made a small yellow circle to go in the center. I really love how these small strips of paper can become something so gorgeous. 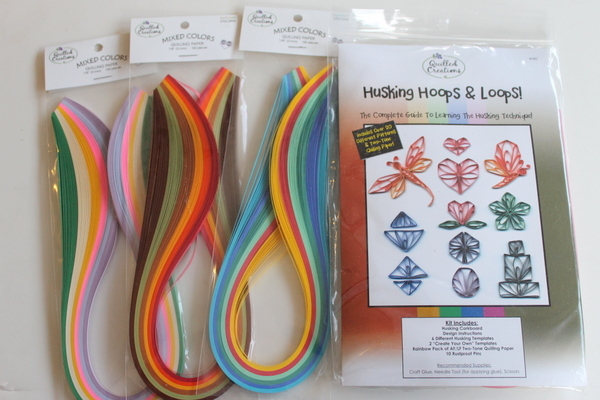 Quilled paper is time consuming but it is fairly easy to learn. I just love the monograms you see around Pinterest — I know you have seen them. I would love to go one of those….someday. For now, I will have to settle for an ornament on the tree this year. 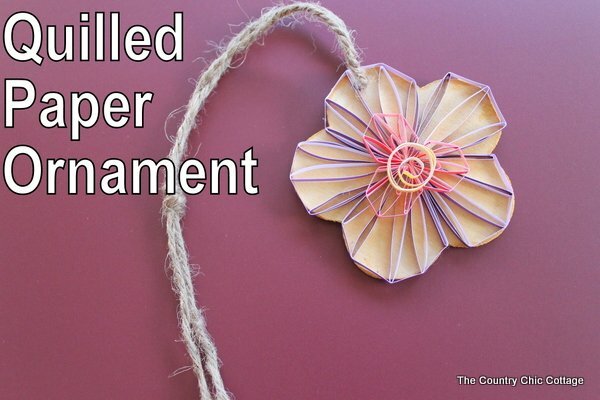 So have you ever used quilling paper to craft? Show me your creations in the comments!